Update: Turns out Mr Morello, just put his name on someone else's pictures. I presume the rest of the story is from the original leaker. 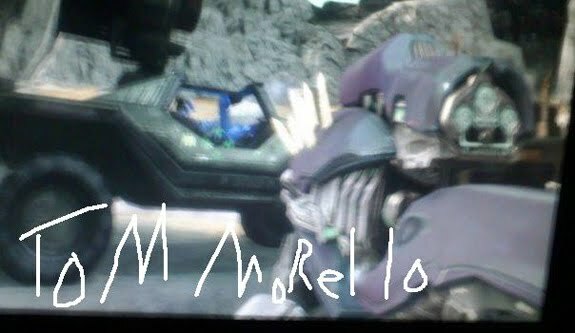 Rage Against the Machine guitarist Tom Morello was not responsible for leaking these screen shots of Halo: Reach's campaign but someone using his monkier sure is. 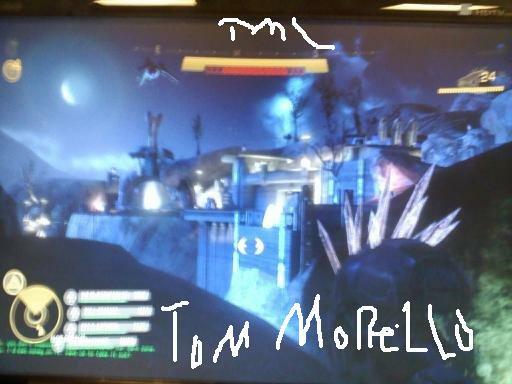 The leaked shots are of the beta version of the Halo: Reach campaign element of the game. Fans who purchased Halo 3: ODST might recall the sales pitch included the promise of access to the multiplayer beta if they held onto the ODST disk. This is not how Tom Morello got the pictures, he was presumably part of a more informal testing program. Some kind of super purple needler? Potential Spoiler Alert: U haz been warned. The third stage is very similar to Truth and Reconciliation (the 3rd stage on Halo 1). You and another spartan have snipers. You have to get into the enemy base from the cliffs (you start out on the cliffs). While you go in the base, your spartan friend covers you from the cliffs above. At the end of this level, you save a bunch of scientists or marines (not really sure who they are actually). They are humans who refused to leave their site even though they ordered everyone to get out. At the end of the level you save them and get picked up by a pelican. The new BR is the 12 round, 1 shot with the scope. I think it's more powerfull than the burst fire BR from halo 3. The sniper rifle has a longer delay between shots (I was upset with this). 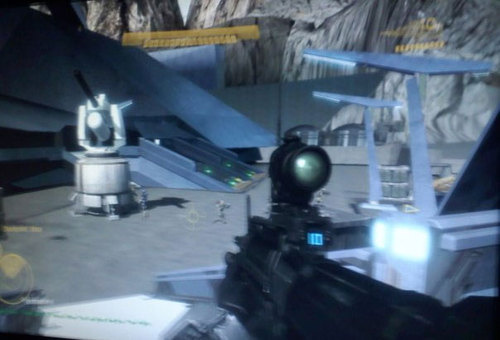 The gameplay seem VERY similar to the other halos. It still has that "slow" feeling. The enemies also fight the exact same way, even the hunters. The new needler carbine gun is cool. It takes three shots to make the needles explode on someone. However, if that person has a shield, you have to take out the shield before the needles can stick. So this gun can be effective if you shoot grunts and jackals, that way they explode and do more damage. You can't just shoot an elite three times, you have to bring his shield down first, then when you shoot him 3 times when he doesnt have a shield, the needles explode. When you cloak, your radar is jammed, so you see red dots everywhere. Also, you can't hear anything going on. It's like trying to hear someone say something when you are underwater. There is a new worthog that shoots volley missles. It seemed very overpowered, but fun. It would shoot about 4-6 shots and they explode upon contact. Then there is about a 5 second wait. Then you can shoot again (basically a 5 second cooldown for every time you can fire)." 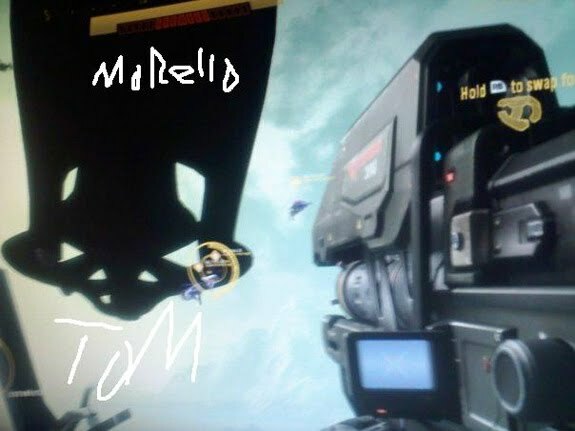 Based on the information that's been coming out recently, this 'leak' of info seems pretty accurate. Some of the items are described differently but the Game Informer Halo Info and the Edge magazine promotion pieces seem to match this write up. What is the Halo Encyclopedia? What happened to the Halo Movie? The Engineers of Halo 3: ODST and maybe Reach? What is the plot for Halo Reach's Campaign? What's the plot of the novel, The Fall of Reach?